I love the top image, "those aren't jawbreakers!" And the bottom image made me laugh out loud. Can't tell You how many times I've experienced that second one!!!! 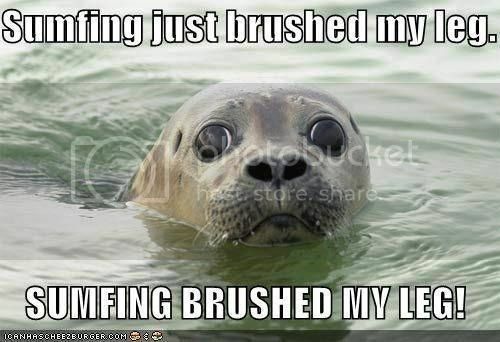 I'm still laughing out loud! 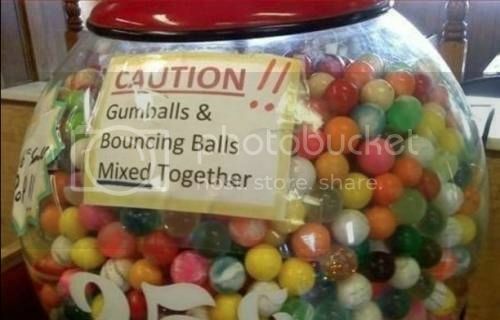 Now who would mix together gumballs and bouncy balls!? I know!!! HAHA!! And they felt like putting the caution sign was enough... so I'd LOVE to see that security camera feed of people putting in a quarter, giving it a little bite-test, and trying again when they get the bouncy balls! I wonder how many kids toss a gumball to the floor hoping it will bounce, only to see it shatter into a thousand pieces. That's not as bad as swallowing a bouncing ball hoping it was gum.